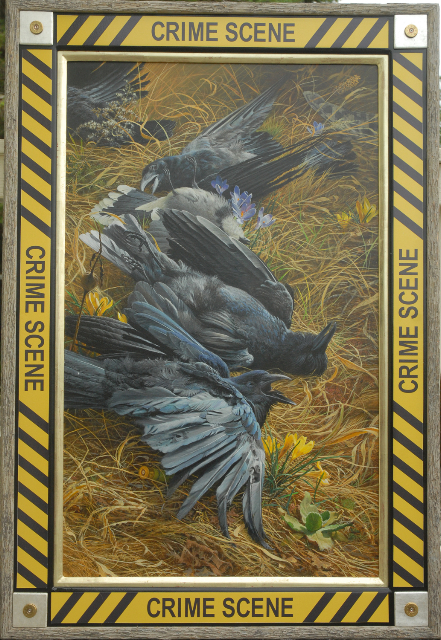 John’s painting of ” A Murder of Crows” was selected to be part of this year’s prestigious exhibit of world-class bird art at the Leigh Yawkey Woods Art Museum. His painting will no doubt be a “show-stopper” with it’s bright yellow crime scene tape custom built into the frame! John found these dead birds and felt it would make an interesting theme of beauty and tragity in the same picture.